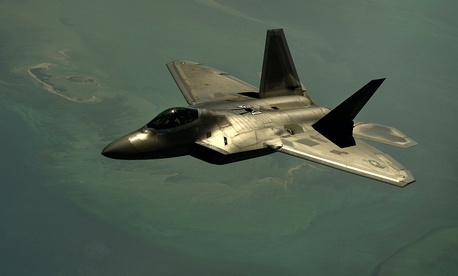 The Air Force’s quarter-century-old F-22 tactical aircraft is being modernized satisfactorily, but the concurrent program to improve its capabilities is falling short because it lacks its own cost baseline, the Government Accountability Office said on Thursday. The stealthy, highly maneuverable plane with advanced avionics and supersonic speed -- which cost $67 billion for 182 copies -- has been undergoing both a modernization and improvement process since 2003. GAO pointed to successful management of the modernization effort to achieve precise cost and schedule changes by treating the upgrades as “a major acquisition program with its own baseline cost and schedule estimate” as well as the use of contractors. Air Force managers note that the availability requirement for the F-22 is under review. “Any delay in revisiting this requirement could limit funding DoD might be able to make available for other high priority activities in a time of austere federal budgets,” GAO warned. The GAO report was prepared for the House Armed Services Subcommittee on Tactical Air and Land Forces.